What State Should I Incorporate My Startup In? When starting a business, owner(s) should always be focused on incorporation. Incorporation is important because it provides owners and investors business law protections that would not otherwise extend to individuals. Not only should a startup concern itself with selecting a business entity which works best for its needs and long-term goals, but it should always be concerned with incorporating in a state whose business laws best protect the business’s needs. Startups most often incorporate in the same state in which its owners live and do business. This choice is easiest and makes sense. However, while incorporating in the state of the startup’s principal place of business is just fine, owners may wish to incorporate elsewhere for purposes of jurisdiction, tax liabilities, protections under the law, and other considerations. Should My Startup Consider Incorporating in a Different State? As established above, a startup is not required to incorporate in the state where it conducts business. For example, many businesses across the United States elect to incorporate in Delaware because of the state’s favorable business laws regarding shareholders as well as their favorable tax codes. 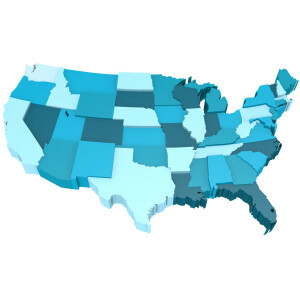 Because of the ability to incorporate in any state, businesses should select a jurisdiction which provides the opportunities and protections best suited for the product or service they seek to offer. Each state’s rules on business formation, governance, and taxation can vary. Therefore, business owners should work with attorneys to develop an incorporation plan that best suits its needs and long-term goals. Aspects of a startup will vary based on both the business entity selected and the state in which the startup incorporates. Some more uniform business laws may allow for commonality among the states, but the very nature of business laws differing by states can affect almost every aspect of day-to-day business operations. Businesses must carefully plan not only their product but also the manner in which they incorporate. The variance of business laws across states, and between business entities, should be of significant attention to all startups electing to incorporate and protect their business interests. While the laws regarding business may seem very similar to the untrained eye, these differences may directly impact on the success and viability of your startup. The skilled and knowledgeable Silicon Valley business attorneys at Structure Law Group can help you incorporate your startup in the state which best suits your goals and long-term objectives. You can schedule a consultation with one of our experienced business lawyers by calling our office at 408-441-7500 today.